What Is The Definition Of Lutz Jump In Figure Skating? 1. The lutz is a counter rotated jump in figure skating. 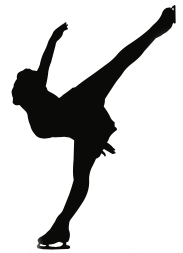 This toe pick assisted jump is one of the most recognizable in figure skating, since the skater enters from a back outside edge and lands on the back outside edge of the opposite foot. It’s named after Alois Lutz, an Austrian skater who performed it in 1913. 1. Kwan sets up, digs in and leaps for the final lutz of her routine, capping off a nearly flawless performance.